I'm chomping at the bit here to get back in my garden but well, I'm miles and days away. Even though I escape winter, I still welcome spring just as joyously – perhaps more so – than when I endured winter. Winter made me oh so bitter and signs of spring seemed so minuscule and disheartening while I waited, and waited, and waited. Escaping makes me much more refreshed and forward thinking and it's still a bit of tedious waiting but when I arrive it's like an explosion of spring instead of little tidbits. It is also a bit like torture to reside here in zone 9(!!!) without a garden so I have the fever bad. All my seeds are here boxed up, ready to go home and just waiting to be planted – sort of like me. Before I left I set up my lighting system in my newly organized office and I just can't wait to get started! We have already "secured" our winter home for next year and with that I become somewhat nostalgic and saddened to think about leaving this peaceful little island, but I also become excited and fueled when I think about getting back into my garden. I splurged on a pineapple lily bulb that already shipped – oops – that is just waiting on my back porch for my arrival, hopefully not freezing to death. I'm also fretting about the "survivor plants" I stored in the cellar before we left. 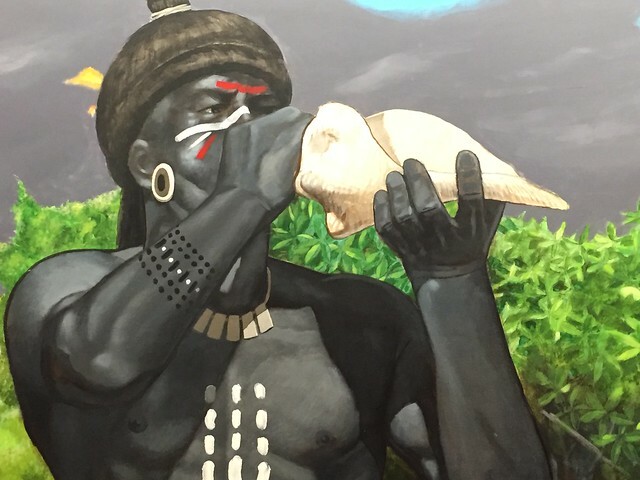 (For a bit of history, click here.) Did I give them enough water? Did the water plugs work properly? Will they be dried up and dead when I get home? Did they freeze again? Hang on, I'm coming home! Another thing I am very excited about is my plant order this year because you must know by now I am an addict and even if I didn't have an inch of space left, I would still need to order plants for spring. This year I ordered plants to upgrade Hosta Row. Some have been on my wish list for a very long time like ... Virginia Bluebells, Mertensia virginica! I so want to establish a nice patch of these beauties. I also ordered some Solomon's Plume, Smilacina racemosa, because in my voracious reading I remember it being a great companion for Flowering Raspberry of which I have a great deal – perhaps the two tangoing together will keep them both a bit in check. Part of my going forward strategy is to reduce the amount of meddling I need to do in my garden so I am leaning towards more ground covers, natives, and hardscapes. Solomon's Plume should be a nice ground cover as will be Big Leaf Aster, Aster macrophyllus, another plant on this year's order. A girl can never have too many perennial Geraniums either, so in comes Wild Geranium, Geranium maculatum. And of course, the star of this year's order is ... Spikenard, Aralia racemosa. This plant has been on my list for a very long time but I didn't have enough shade for her liking when I first began the Violet Fern garden. The birds will love me for planting Spikenard. Heck, I love me for planting Spikenard. For fun, because I love how tough yet graceful heucheras are, I am also trying our native Maple Leaved Alum Root, Heuchera villosa, var. Atropurpurea. All these plants will be incorporated into Hosta Row. But no, I couldn't stop there so I am adding to the sunny front gardens Purple Poppy Mallow, Callirhoe involucrata, aka Wine Cups, a plant I tried out at TI Park that I am very impressed with. Lastly I ordered native Steeplebush, Spiraea tomentosa, to compliment the Clethra 'Vanilla Spice' shrub I planted a couple years ago that I moved last Fall to a more prominent spot by my she shed (after the tough love decision to rip out towering thug Rudbeckia Laciniata). Wheel barrows full of Laciniata stems removed last Fall. This plant seeded itself all over the Potager and became much more difficult to maintain than I wanted. This newly worked spot now houses the Clethra and new arrival, Steeplebush. 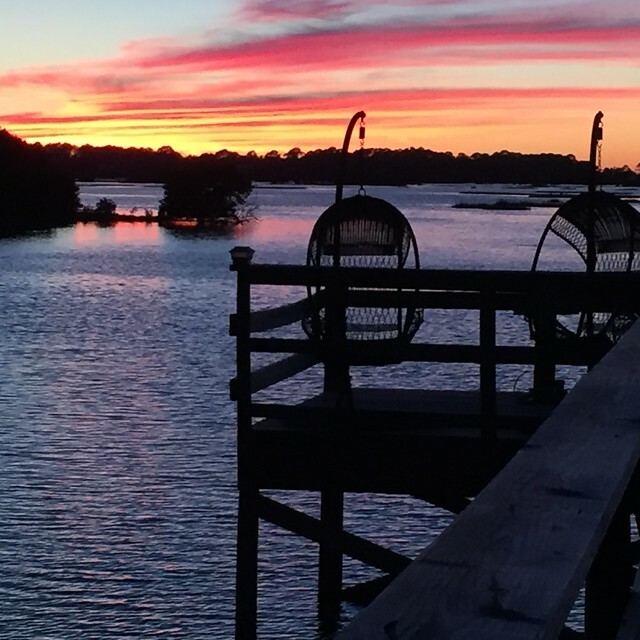 When I get home I will literally hit the ground running and not stop until we leave again for the peaceful little island life of Cedar Key come December, but I am ready! 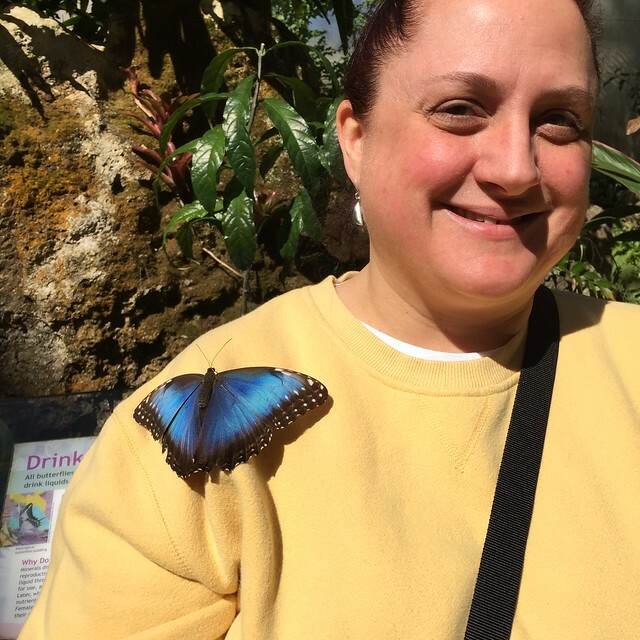 On this glorious first day of SPRING I would like to share with you a treat of a tour of the Butterfly Rainforest at the Florida Museum of Natural History in Gainesville. After all, we will soon be seeing these beauties grace our gardens en mass and especially welcome in the north. This is only a small sampling of a large wall leading up to the Butterfly Rainforest screened enclosure. So many beautiful butterflies and moths on display from all over the world. I could have studied this wall for years. The colors and patterns are truly extraordinary. Also fun were the viewing rooms to butterflies and moths hatching. 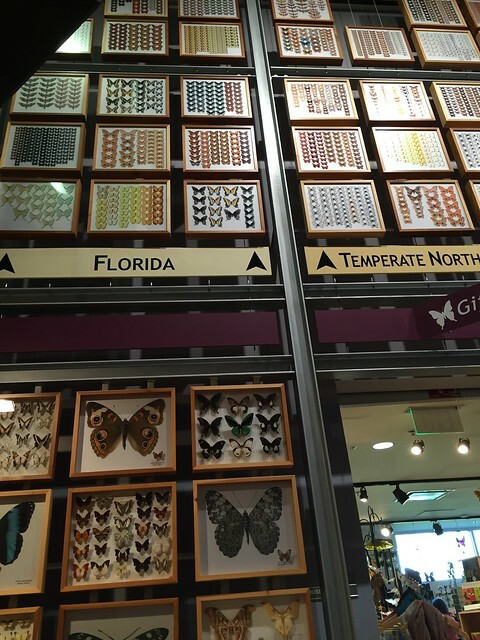 Each day at 2pm the museum releases newly emerged butterflies and moths into the Rainforest. You might recognize the Atala Butterflies (to the right) whose host plant is the Coontie. 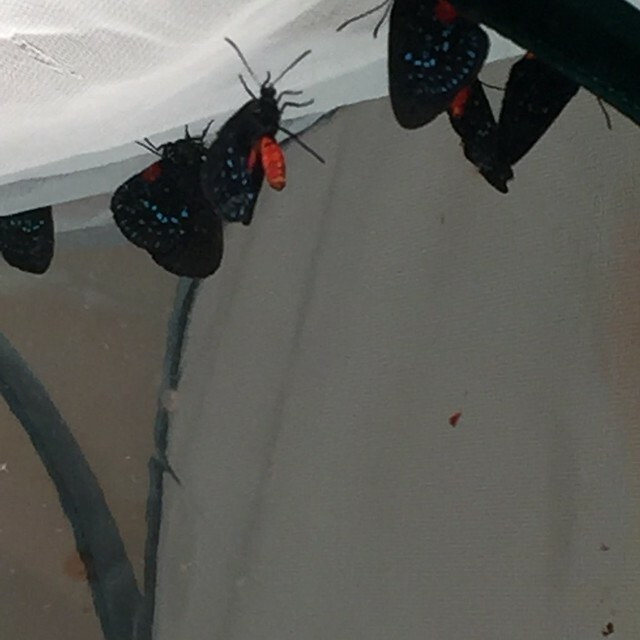 If you have ever attended a lecture by Doug Tallamy, you were most likely treated to the story of the great comeback of the Atala Butterfly once Coonties were "rediscovered" and infiltrated the landscape market. 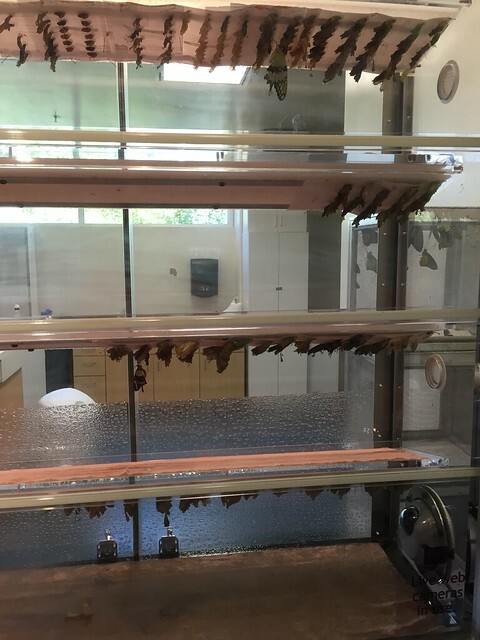 Once past the "wall of butterflies" and the hatchlings, one enters the Rainforest itself through a double set of doors that are compressed with air so that butterflies cannot escape. And there, another world awaits ... lush, tropical, magical with water features bubbling and trickling through an amazing assortment of plants and tiny and quite large fairy wings fluttering about. And then, there were the fairies of course with magical wings. One landed on my sister! I wish I could tell you the names of all these beautiful, magical creatures but there were so many and it was so awe inspiring that I became lost in the moment. I suppose I could back and study that amazing wall again to identify some of these winged gems. Watching the release was a real treat. I learned how to hold a butterfly properly for transport. No scooping! A simple clasp of the wings from above is the best way to move a butterfly or moth with minimal damage. The woman (most are volunteers!) was so practiced at this and effortlessly retrieved the moths and butterflies from a temporary cage and gently placed them upon a nearby sapling. I was thrilled to witness the release of this South African Luna Moth (upper right corner)! 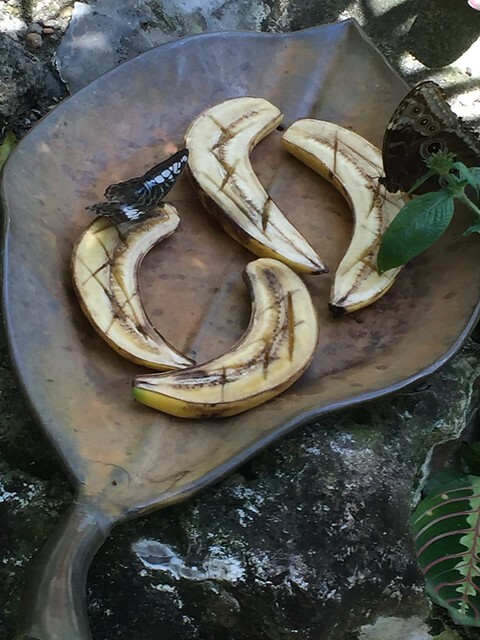 Tasty treats, plantains, await the newly released who prefer fruit. Happy Spring to all! I hope the flowers and butterflies return to your gardens soon. I almost forgot to mention that if you enjoy coloring, my free coloring page download for March is inspired by the Butterfly Rainforest!